When our grade II listed cottage was hit by a car it seemed like a disaster, but in fact it was a huge blessing. 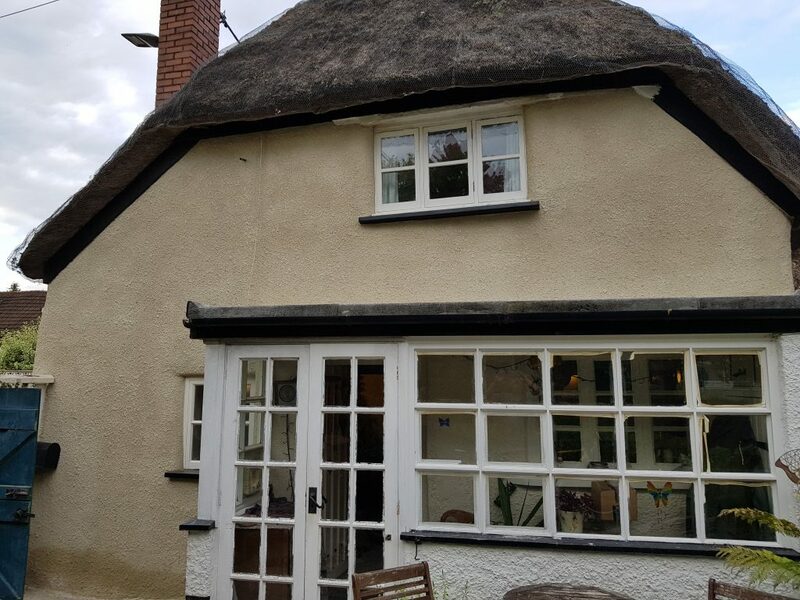 Sean was contracted by the insurance company and bent over backwards to ensure that the cottage was repaired and renovated to an extremely high standard. Earthouse was extremely helpful in negotiating between the planning office and the insurance company and helped us insist on only the very best. A potentially stressful process was made so simple with their help and the results are fantastic. First repairing the impact damage from the crash, they also corrected water damage issues in the walls we did not even know we had. Then they replaced the existing concrete render with lime to an excellent finish, something we had wanted to do for years. The cottage is far more stable than it was in the first place and is properly surfaced and finished. Finally they put in new windows and completed the finishing touches. Sean and Tom were friendly, professional and just good to have around… not what we expected from two months of building repairs. We already have and will continue to recommend Earthouse, thank you Sean!